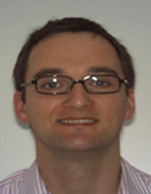 Recent Roles - June 2011 to Current - Head of Dry Freight Derivatives and Asset Lead, Cargill Ocean Transportation, Geneva. Responsible for all the dry freight derivatives trading and execution for Cargill worldwide. Lead for all asset related issues for Cargill Ocean Transportation, including joint venture set up to own vessels. Sept 2010 to June 2011 - Cross commodity Options trader, Cargill Energy Transportation and Metals, Geneva. Nov 2004 to Aug 2010 - Freight Derivatives and Options trader, Cargill Ocean Transportation, Geneva. April 2002 to Nov 2004 - Risk Manager, Cargill Ocean Transportation. Enron - Trade and Structured finance, London. Cargill - Value Investment Group and Trade & Structured Finance, London & Geneva. Ernst & Young - financial services audit group, London. St. Catherine's College, Oxford - MA (Oxon) Geography.